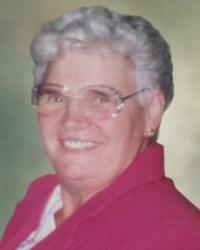 It is with great sorrow that we announce the passing of our dear mother, grandmother and great grandmother on Wednesday February 7, 2012 at the age of 81 years. Gerarda will be loved and remembered by her seven children, thirteen grandchildren, four great grandchildren, one sister, and two brothers. She was predeceased by her husband Chris; parents Jacobus and Helena; a sister and brother. The family would like to express their heartfelt thanks to all the staff at the Miller Crossing Care Centre for their wonderful care of our mom. A Memorial Service will take place on Saturday, February 18, 2012 at 10:00 am at Foster and McGarvey Funeral Home, 10011 114 Street, Edmonton, AB. Friends who so wish may make memorial donations directly to the Alzheimer’s Society or to a charity of your choice.